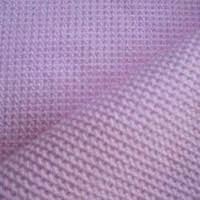 Leading Exporter of stylish waffle clothes and waffle fabric from Indore. Supplier & Manufacturer of Stylish Waffle Clothes. Used for towels and other baby products, available in plain, dyed and printed designs. To manufacture these fabrics, we have appointed a team of diligent professionals, who keen a hawk-ye on the production process. 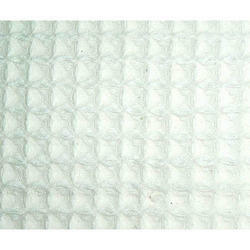 We are one of the leading manufacturer of superior quality Cotton Waffle Fabric. Available in different width as per your requirements.We have huge collection of silk fabrics in diverse colors, highly appreciated among our clients for beautiful designs, graceful looks, energetic colors and superior quality. Looking for Waffle Clothes ?